Ready-to-build with planning permission and residential zoning. Capable of containing a single family home. Have services installed: water, electricity and sewage. Within easy driving distance of Orlando. Click a point on the map to view available plots within the area. 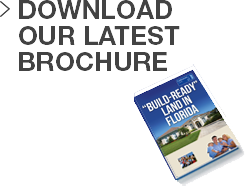 Florida Land for Sale - 1,142 plots for sale!